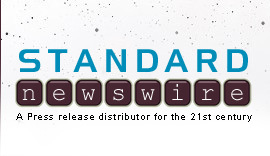 WASHINGTON, Dec. 27 /Standard Newswire/ -- Judicial Watch, the public interest group that investigates and prosecutes government corruption, announced today that a federal appeals court in Washington, D.C. upheld the vast majority of a lower court award to Judicial Watch of nearly $900,000 in attorney’s fees and costs in a lawsuit related to the Clinton fundraising scandals (Judicial Watch v. U.S. Department of Commerce, Appeal No. 05-5366) The fees were awarded on December 1, 2006, after a nearly decade-long court battle between Judicial Watch and the U.S. Department of Commerce. The scandal involved a scheme by Clinton administration officials to sell seats on taxpayer-funded trade missions in exchange for campaign contributions to the 1996 Clinton-Gore campaign. When Judicial Watch began investigating the scandal, Clinton administration officials deliberately concealed and destroyed records regarding the trade missions to avoid releasing them to Judicial Watch. In fact, Ms. Nolanda Hill, a business partner and confidante of then-Clinton Commerce Secretary Ron Brown, testified at a dramatic court hearing during the litigation that the Clinton White House “instructed” Brown "to delay the [Judicial Watch] case by withholding the production of documents prior to the 1996 elections, and to devise a way not to comply with the court’s orders." Clinton administration misconduct was so egregious that the Commerce Department took the unprecedented step of asking that a judgment be entered against itself in order to end the lawsuit prematurely and stop further revelations. The court denied the Commerce Department’s request, ordered it to conduct a new search for trade mission records and authorized additional discovery into the illegal concealment and destruction of government records. The lower court also noted that “…disclosures made as a result of this litigation spurred two Congressional committee investigations and a Federal Election Commission investigation into [the Commerce Department’s] alleged sale of foreign mission trade seats. Further, the DOC revised its trade mission participant selection policy to explicitly exclude consideration of past political contributions and activities.” In addition, a criminal inquiry was launched by the Justice Department and FBI. For information related to Judicial Watch’s Chinagate investigation and related lawsuits, please visit Judicial Watch’s Internet site, www.judicialwatch.org.